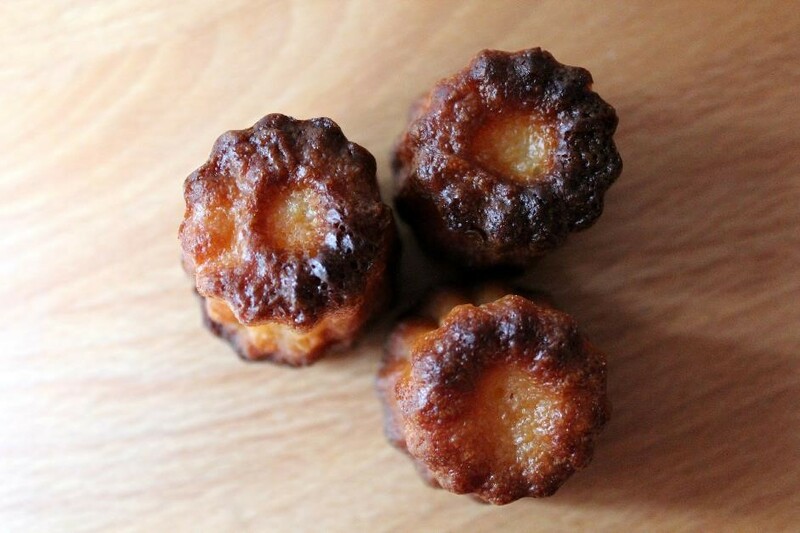 Some of you will instantly recognise this speciality from Bordeaux…the delicious canelés. They are baked in a small, striated cylinder, traditionally made from copper. But after a couple of disasters trying to make canelés using these beautiful metal moulds, I caved in and bought, on the internet, a silicon mould that makes 16 canelés, for around £7. And it works a treat! 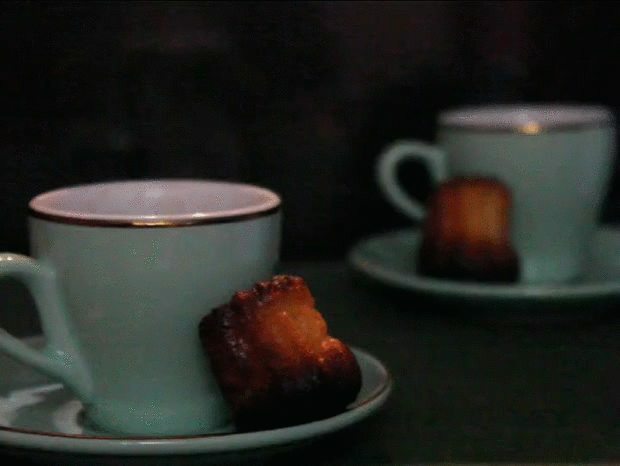 The secret of a successful canelé resides in the contrast between its soft, tender custard centre and its dark, thick caramelised crust. Divine with a cup of hot, steamy coffee. 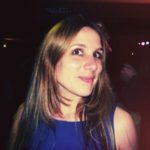 And they’re so quick to prepare – about 10 minutes – but they bake for around 1 hour, depending on how caramelised you like them! In a saucepan, bring the milk to the boil with the vanilla and butter. During that time, mix together in a bowl the flour, sugar and salt. Add the egg and egg yolk and mix well. Pour the hot milk into the bowl and mix further. Let the mixture cool down before adding the rum. Place in the fridge for about 1 hour. 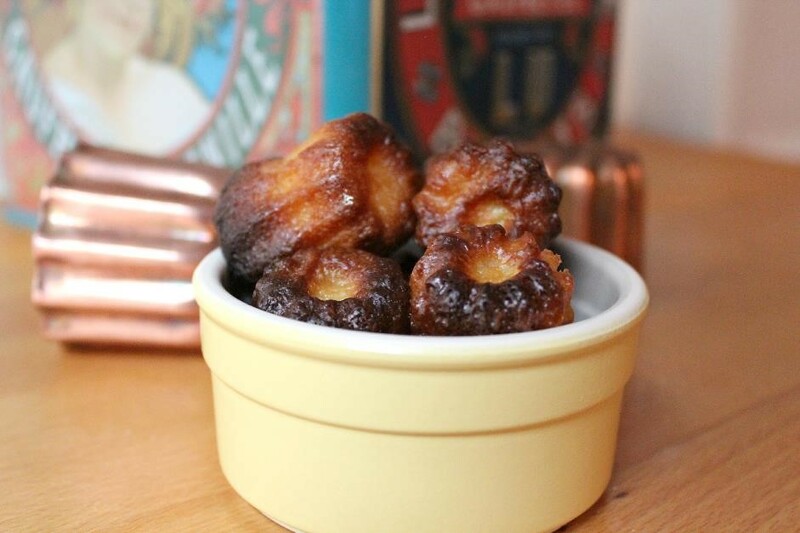 Preheat the oven to 220°C with the baking sheet on which the canelés will bake inside. Grease the mould, or individual moulds, well with butter, making sure to get it all the way into the fiddly bits. Pour the mixture into the mould and place on the baking sheet. First bake the canelés for 20 minutes before turning the oven temperature down to 180°C and bake for another 40 minutes to 1 hour, depending on how caramelised you like them. Demould and eat while still warm.